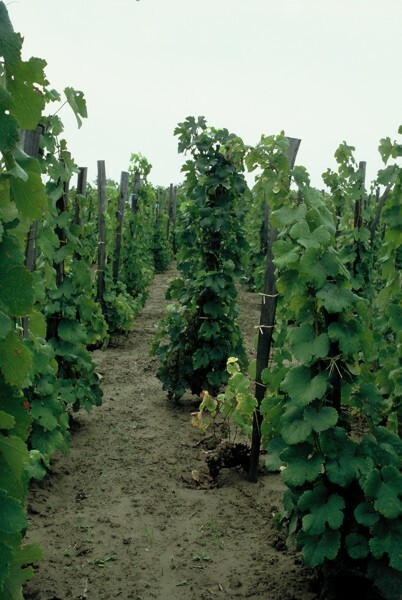 Hungary grows many standard international varieties, such as Chardonnay and Sauvignon Blanc, but there are also a myriad of local grape varieties commonly found in the Carpathian Basin. 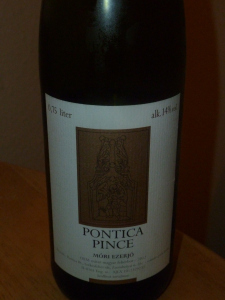 Let’s start with Ezerjó for no particular reason, except that I’ve been tasting a few of them lately, including the excellent full-bodied Pontica Pince Móri Ezerjó 2012. This is a grape variety that is widely planted within Hungary, but little known outside the country. It has many other names, amongst others zátoki, korponai, budai fehér (Buda White), Korponai or Kolmreifler, and in Transylvania, it is known as fehér bakator (White Bakator). Until 1884, it was widely cultivated in the Sopron wine district. 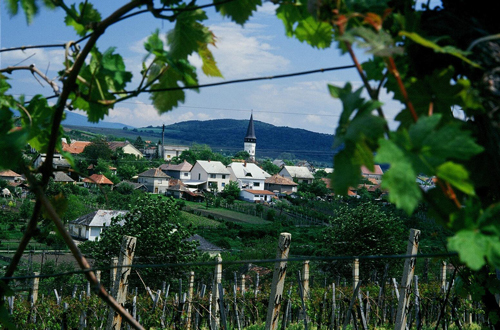 Nowadays, it is more commonly found in the Kunság, Neszmély and in particular Mór wine districts. The Mór district is particularly well-known for its Móri Ezerjó. Indeed many people associate the variety closely with this area. Here it yields a light, crisp, refreshing easy-drinking wine. It is a early-ripening, high yield variety, sensitive to frost and rot. Its wine is high in alcohol, often with a slightly harsh taste, with pronounced acidity, pale green in colour, dry and relatively neutral in flavour. It can also be used to produce sweet wines, in good vintages containing some botrytised grapes. Literally translated, it means ‘a thousand boons’. I was persuaded to try this wine with the recommendation that I would never have tasted such a rich, creamy Ezerjó. This advice turned out to be correct. Medium gold in colour, distinctly mineral on the nose, luscious, mouthfilling dried fruits (apricot and peach), led by firm minerals, off-dry in the mouth, despite being a dry wine. Rounded acidity and creaminess make this a wine to savour. Delicious.